Mar. 15 | 8 p.m. | Power Plant Live! Featuring DJ Pauly D, and Baltimore-based opener JANKO. General admission and exclusive party packages are available. $5 will be donated toward three community organizations: The Maryland Food Bank, Oyster Recovery Partnership and Baltimore Office of Promotion & The Arts. Discounted drinks and food plus a raffle for great prizes. Cover-free access to Fed Hill’s best bars and restaurants. Mar. 16 | 10 a.m. – 3 p.m. | Power Plant Live! Annual day-long festivities including music, confetti cannons and green beer while exploring the eight all-access bars in the Alley. Global musical sensation Celtic Woman is making a stop in Baltimore on their U.S. tour, celebrating Ireland’s rich musical and cultural heritage. For more information on events, check out Visit Baltimore for tickets and details about specific celebrations. Picking an event to attend this St. Patrick’s Day is not the only plans you should be making for the weekend. Not even the luck of the Irish will protect you from these holiday safety hazards that can quickly turn a shamrock celebration into a St. Patty’s Day nightmare. With hundreds of people planning to celebrate in Baltimore, the risk of pedestrian traffic accidents on St. Patrick’s Day skyrockets. Crowded streets can pose significant dangers to pedestrians, especially when a large number of them will most likely be under the influence of alcohol. Last year, 36 percent of pedestrians killed in car crashes had a blood-alcohol level above the legal limit of .08 according to the National Highway Traffic Safety Administration. 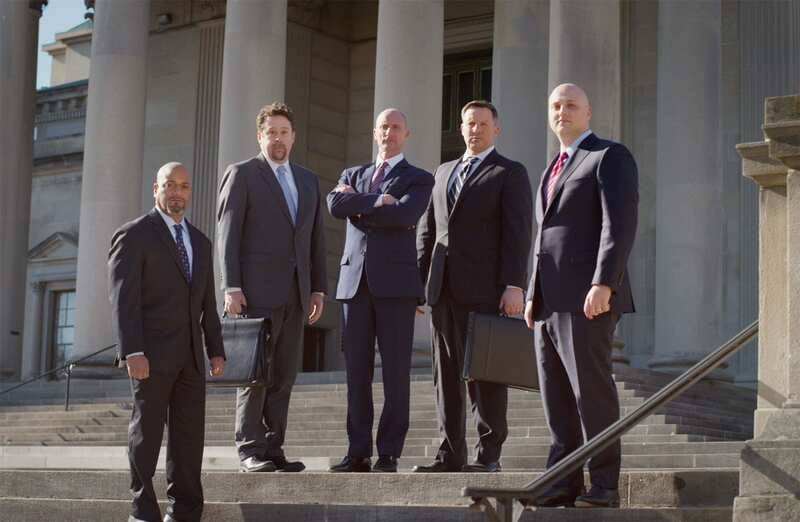 Drunk pedestrians increase their risk of injuries from accidents such as slip, trip, and falls, physical altercations, or being hit by a motor vehicle if stumbling on to a busy road. St. Patrick’s Day is one of the deadliest holidays on the road with an increase in drunk drivers taking a chance behind the wheel. Traffic accidents caused by drunk drivers involving other vehicles and pedestrians immensely increase with about 3 out of 4 fatal crashes on St. Patrick’s day involving a driver whose blood alcohol level was at least twice the legal limit. Drunk drivers put everyone on the road at risk and can cause catastrophic injuries and unnecessary fatalities as a result. Drivers who are not paying attention to the road can easily hit other vehicles or pedestrians crossing or entering the road, even if they only look away for a second. Cell phones, rowdy passengers, and outside distractions from holiday festivities are the biggest culprits when it comes to increasing distracted driving on St. Patrick’s Day. 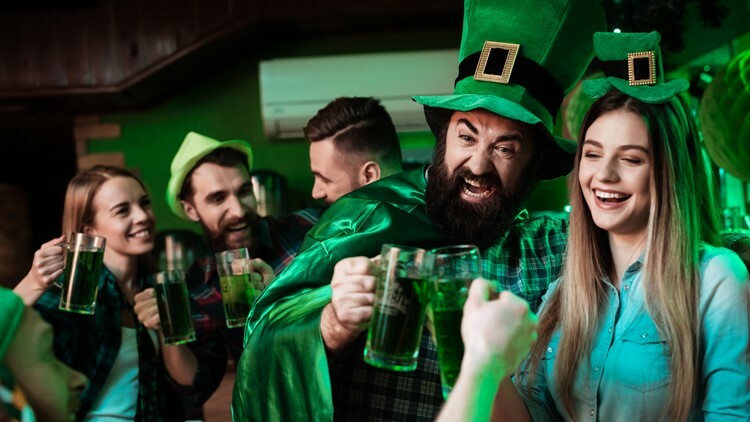 St. Patrick’s Day is known as the fourth most popular drinking day of the year, and some participants put their health at serious risk when they get carried away. Binge drinking can lead to alcohol poisoning and severe dehydration, both of which could prove fatal if a person has had enough to drink. Drink spiking is also an unfortunate danger on St. Patrick’s Day, which can lead to someone to becoming severely ill, especially when drinking alcohol. Plan ahead: Don’t leave your house until you have made a plan for the day. Preplan everything from your transportation, meals, activities, and your attire to make sure you are ready for anything St. Patty’s Day has to throw at you. Designate a driver: If you plan on having even one drink while at your shamrock event, don’t take a chance. Choose a designated driver who will remain sober the entire time, or skip the responsibility and use public transportation or ride sharing options to get to and from your celebration safely. Stay in control: Just because you are not driving does not mean you should get out of control with drinking. Make sure you take it easy on the alcohol and drink plenty of water to keep your body hydrated throughout the day. Use the buddy system: It might be a little hard if everyone is wearing the same color, but try to stay with your group. Designate a meeting spot if you get lost and make sure to keep your phone charged so you can call a friend in the case of an emergency. Stay by your drinks: Even if you are not drinking alcohol, never leave your drink unattended. If your drink is open and you took your eyes off of it for even a minute while it was left on a table or bar, it’s safer to get a new one than take a chance. Don’t forget to wear green: This might be the least of your worries this holiday. But if you want to avoid a pinching injury- don’t forget your green attire! Wishing everyone a safe and exciting St. Patrick’s Day weekend!